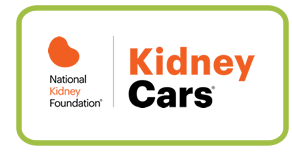 The National Kidney Foundation Serving Maryland and Delaware is dedicated to preventing kidney and urinary tract diseases, improving the health and well-being of individuals and families affected by these diseases, and increasing the availability of all organs for transplantation. 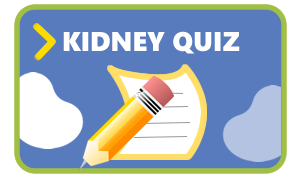 The National Kidney Foundation Serving Maryland and Delaware (National Kidney Foundation Serving Maryland and Delaware) is a nonprofit, voluntary health organization that was established in 1955 by Harriet G. Guild, M.D, a well-known Baltimore physician. Originally known as the Maryland Nephrosis Foundation, the organization became one of the original affiliates of the National Kidney Foundation (NKF) in 1964. With 51 divisions/affiliates nationwide, NKF is the major voluntary health organization in the U.S. dedicated to easing the impact of kidney and urinary tract diseases on society. Founded in 1950, the national organization is headquartered in New York City and has satellite offices in Kansas City, MO, and Washington, DC. NKF has been named one of “America’s 100 Best Charities” by Worth Magazine and has also received high marks from other prominent independent sources on charitable giving, such as the National Charities Information Bureau and the Better Business Bureau. 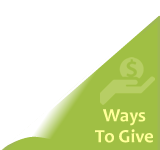 National Kidney Foundation Serving Maryland and Delaware is a member agency of the United Way and Combined Health Charities. Serving central and western Maryland, the Delmarva Peninsula and portions of Virginia and West Virginia. Maryland: Allegany, Anne Arundel, Baltimore, Baltimore City, Caroline, Carroll, Cecil, Dorchester, Frederick, Garrett, Harford, Howard, Kent, Queen Anne’s, Somerset, Talbot, Washington, Wicomico and Worcester counties. Delaware: Kent and Sussex counties. Virginia: Accomack and Northampton counties. West Virginia: Berkeley, Grant, Hampshire, Jefferson, Mineral, Morgan and Tucker counties. “Thank you for the grant pledge from the National Kidney Foundation Serving Maryland and Delaware to the Johns Hopkins Bloomberg School of Public Health, in support of Dr. Elizabeth Selvin and her research project, Epidemiology of Hepatitis C and Chronic Kidney Disease. To improve the lives of those suffering from kidney disease, and related disorders, such as hepatitis and diabetes, is a critical goal of both the Foundation and the School. It is the hope that Dr. Selvin will lead her team to conclusions that will prove beneficial, regarding correlations between hepatitis C and chronic kidney disease.